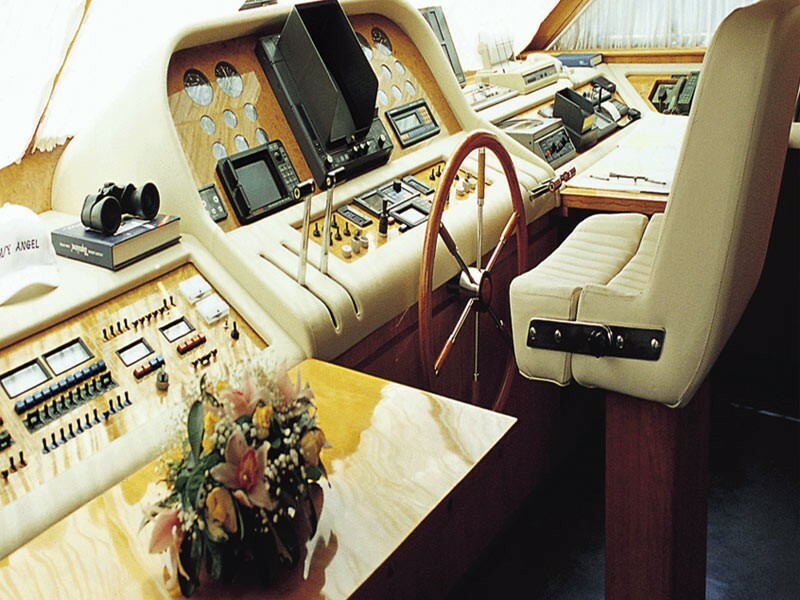 Charter yacht ANGEL was built by Italian yacht builder Canados in 1994 and underwent a refit in 2007. 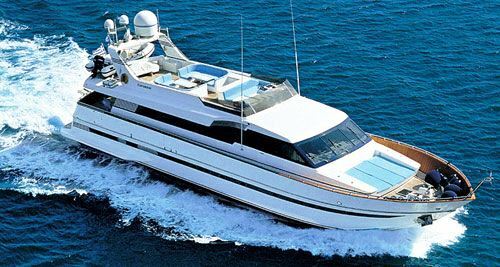 M/Y ANGEL measures 27.8m (88ft) and can accommodate up to 12 guests in 5 cabins, making her the ideal choice for large groups and families. 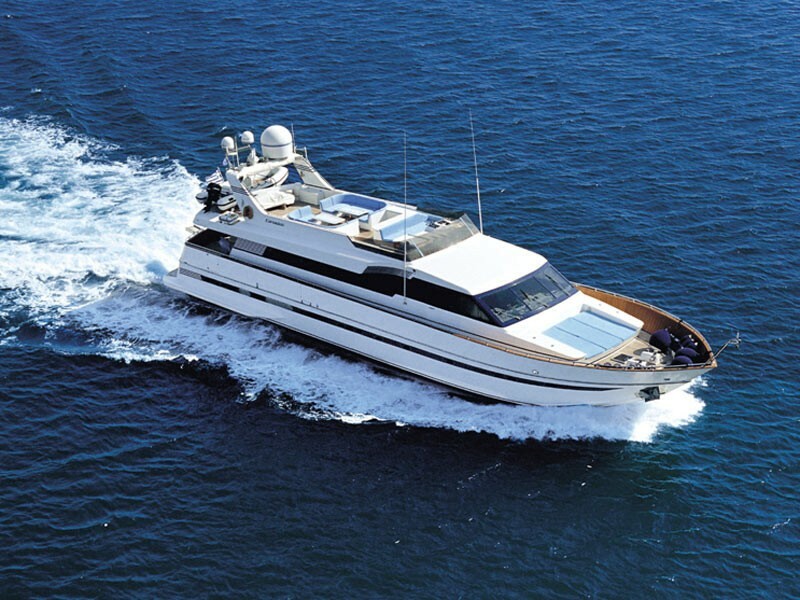 Motor yacht ANGEL is available for charter in the East Mediterranean. 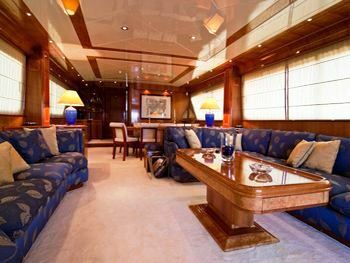 Yacht ANGEL has ample interior living space with plenty of natural light throughout. 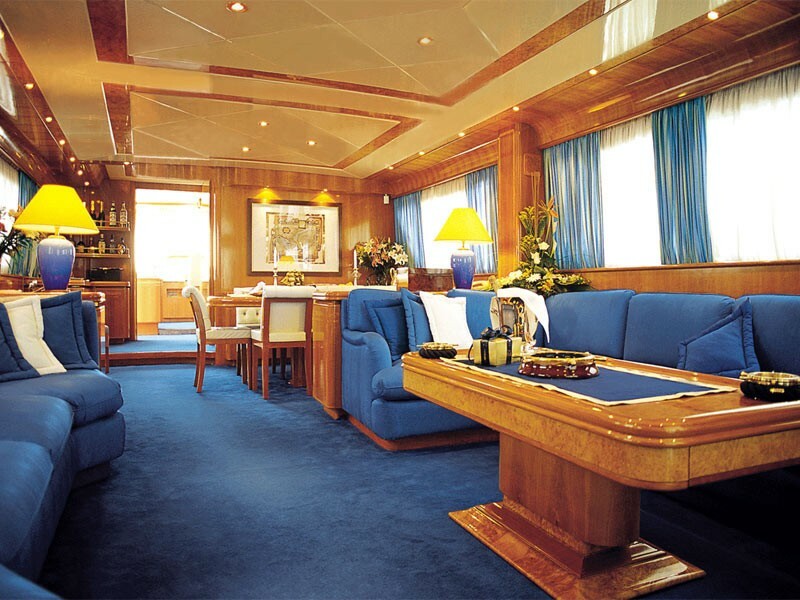 The salon is aft on the main deck and features 2 generous sofas coffee table and entertainment center. 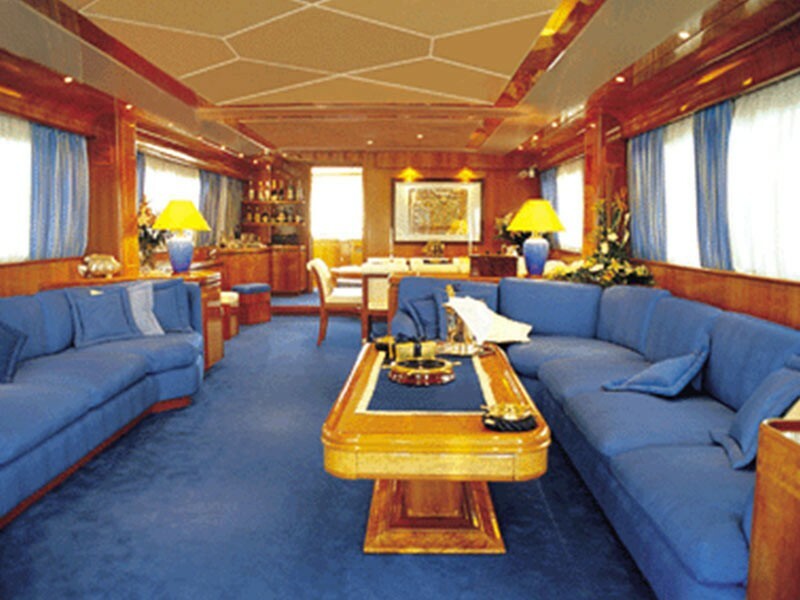 A neutral fitted carpet adds a lavish feel and high gloss wood panels with light cream inlays overhead create and elegant atmosphere. 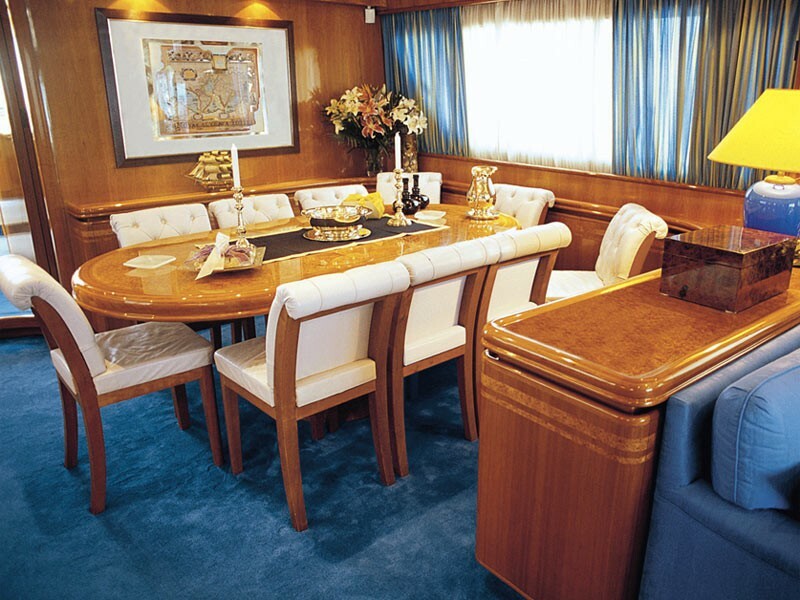 Forward of the salon in an open plan is the formal dining table. 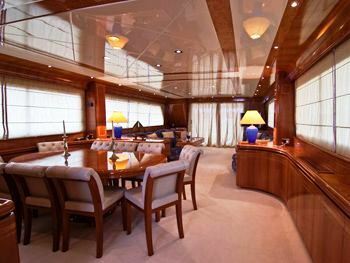 Both the salon and dining areas are surrounded by panoramic windows providing ultimate views. 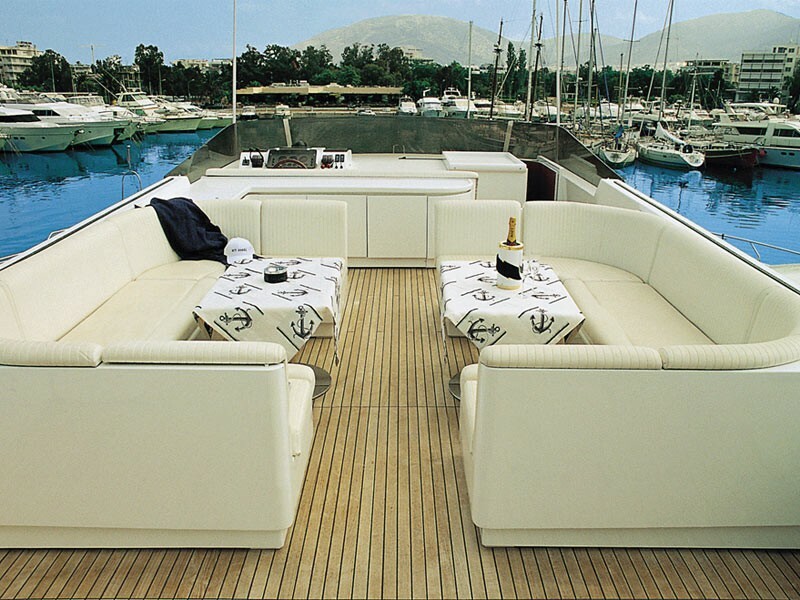 The Canados 88 motor yacht ANGEL boasts spacious teak decks to enjoy and relax. 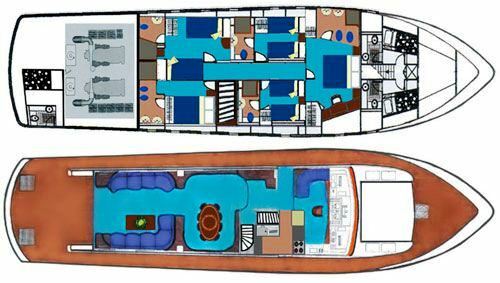 The aft deck can be accessed directly from the salon though the double doors, or from the side decks on port and starboard. 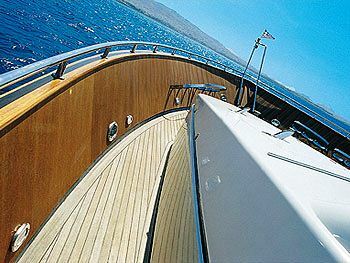 Further aft guests can take a dip in the azure blue waters from the extended swim platform. 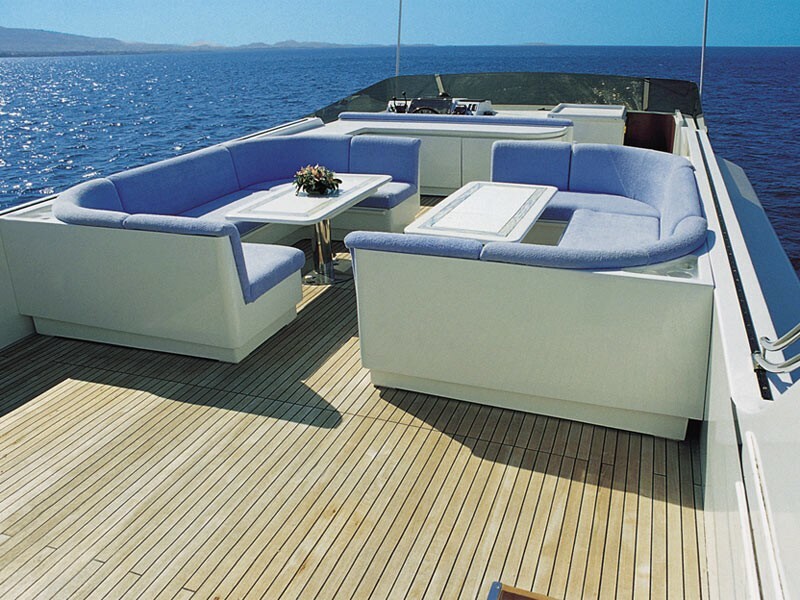 Forward aboard the M/Y ANGEL, a triple sunpad is the ideal spot to soak up the warm sun. 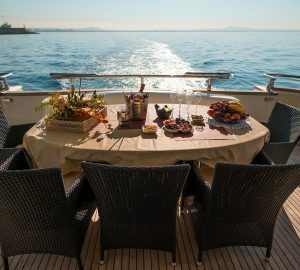 Above the main deck an expansive flybridge offers a massive double alfresco dining option and additional seating, perfect for entertaining larger groups. 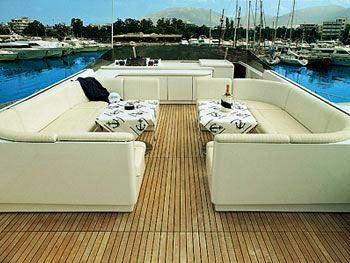 Motor yacht ANGEL has a beam of 5.4m (18ft) and a draft of 1.28m (4.1ft), the yacht is powered by 2 GM 1400HP engines capable of reaching speeds of 20 knots with ease. 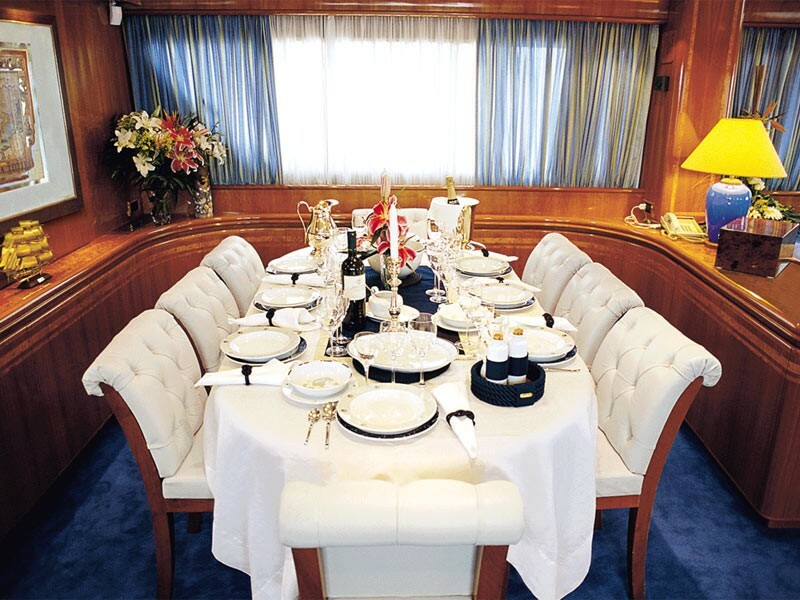 Charter yacht ANGEL accommodates up to 12 guests in 5 cabins. 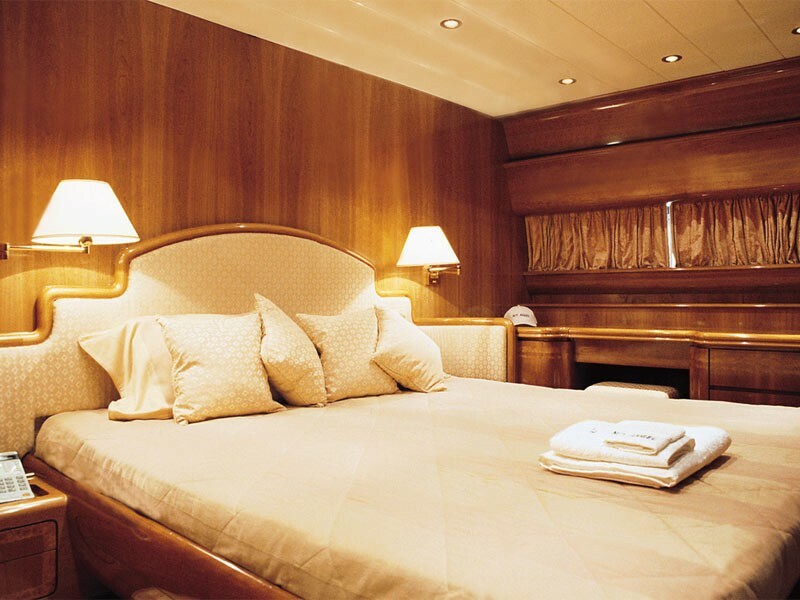 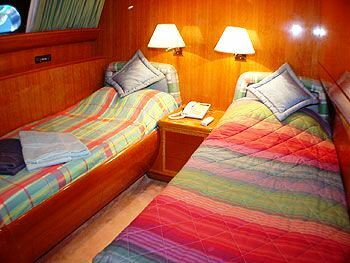 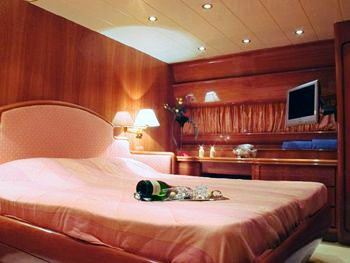 The master cabin is full beam of the yacht forward with a double bed. 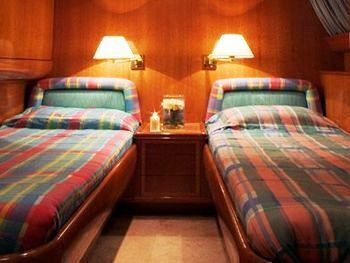 A VIP cabin offers a double bed, 3 twin cabins offer single beds, 2 of which have a Pullman berth each. 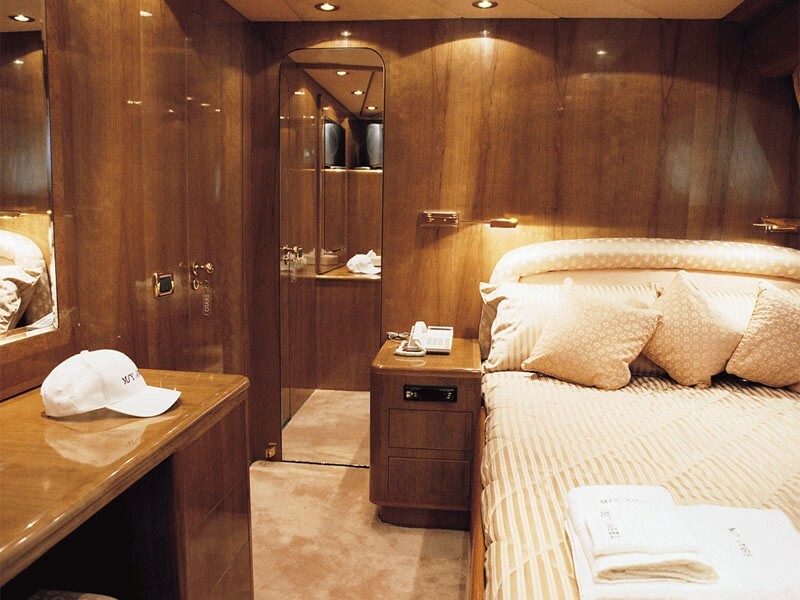 All cabins are light and spacious, with TV/CD systems and en-suite facilities. 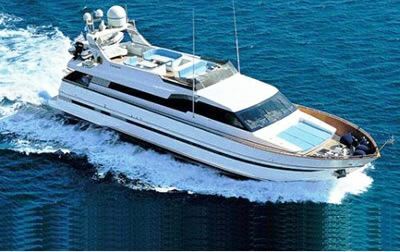 The ANGEL motor yacht has one tender 4.3m with 70hp outboard, wave runner, water ski, rings, fishing & snorkeling equipment, SAT TV, DVD, CD player in main salon, Satellite Communications (phone, fax, internet access).